Universal Orlando Resort gave guests an early Christmas present this week, and revealed the dates for next year’s Halloween Horror Nights. 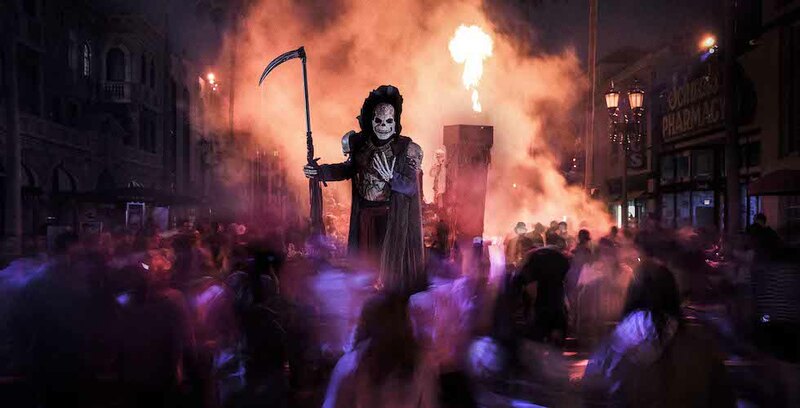 HHN will begin earlier than ever at Universal Orlando in 2019. Guests hoping to attend the event in 2019 will be able to experience the Halloween event earlier than ever before. Due to popular demand, Halloween Horror Nights will now run on select nights from Friday, Sept. 6, 2019 – Saturday, Nov. 2, 2019. Those brave enough to enter the event will travel through haunted houses, journey through scare zones, and experience live entertainment – all based on both classic and modern horror properties, as well as original content created by the twisted minds of Universal’s Entertainment team. More information on next year’s HHN, including specific dates, content, tickets, and offers, will be released at a later date. Please release days for HHN asap. We need to plan and save for our two week vacation. Thank you.